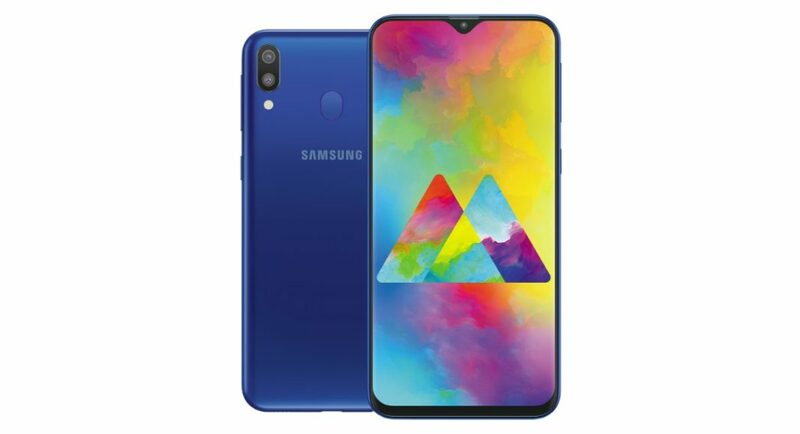 South Korean technology giant Samsung has taken wraps off its Galaxy M10 and Galaxy M20 smartphones in India. The newly launched Samsung Galaxy M10 and Galaxy M20 smartphones compete directly with handsets from Xiaomi’s Redmi series, some with the company’s new Infinity V displays and house 5,000mAh battery. Here’s a look at the pricing details and specifications of the Samsung Galaxy M10 and Galaxy M20 smartphones. Samsung Galaxy M10 is available in two storage models – one with 2GB of RAM and 16GB of storage and the other with 3GB of RAM and 32GB of storage. While the former costs Rs 7,990, the latter bears a price tag of Rs 8,990. Speaking of Samsung Galaxy M20, it is available in a variant with 3GB RAM and 32GB storage, and its more high-end model has 4GB of RAM and 64GB storage. The base model costs Rs 10,990, the 4GB RAM variant is priced at Rs 12,990. Both the smartphones will be available via Amazon India’s website and Samsung’s online store starting February 5. The devices are available in Ocean Blue and Charcoal Black colours. Coming to the specifications, Samsung Galaxy M10 runs Android 8.1 Oreo and features a 6.2-inch HD+ TFT display. The smartphone is powered by the company’s own Exynos 7870 processor and is available with up to 3GB of RAM and 32GB of onboard storage. On the camera front, Samsung Galaxy M10 comes with a dual rear camera setup with a 13MP sensor with f/1.9 aperture and a 5MP ultra-wide sensor. For selfies and video calls, there is a 5MP front-facing snapper with f/2.0 aperture. The handset has support for face unlock and houses a 3,400mAh battery. Coming to Samsung Galaxy M20, the device sports a 6.3-inch full HD+ display and runs Android 8.1 Oreo. Powered by an octa-core Exynos 7904 processor, Samsung Galaxy M20 comes with up to 4GB of RAM and 64GB of onboard storage. While it has the same dual rear camera setup as Samsung Galaxy M10, the smartphone comes with a better 8MP selfie camera. In addition to face unlock, the handset also has a fingerprint sensor on its back panel and houses a massive 5,000mAh battery.